Directed by Chuen-Fung Wong, the Macalester Asian Music Ensemble performs traditional and modern music from East and Central Asia. 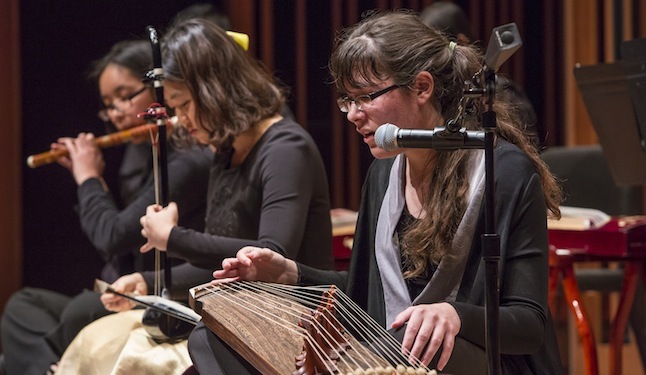 Core instruments include a variety of plucked lutes and zithers, bowed fiddles, bamboo/reed flutes, hammered dulcimer, and percussion from Chinese music and traditions across the Silk Road. Fridays 4:45 – 6:15 p.m. There will be one major performance per semester.